Please either email or phone 425.836.0645 with your custom quilt order. Please make contact prior to sending any materials. We'll will give you an address to send the materials to once contact is made. Original Quilts is located in Redmond, Washington. Technology is awesome, it allows me to have clients anywhere! NOTE: I do not check the PO Box on a regular basis. Once we make contact I will give you my home address - please use my home address which is on the contract or in email. In the gallery, I have reference quotes by my clients, I removed the email links for you to contact them directly - because of the Internet worms that attach to those email addresses. I want you to feel comfortable about the decision you are making - so please let me know if you'd like to contact any of my references, and I will give you the email address for you to contact them directly. The owner of Original Quilts (Pam Smith) has been sewing since she can remember. Her mother taught sewing and tailoring, so it was natural to teach her daughter to sew. Pam became interested in quilts after seeing quilts her grandmothers created. She has been making quilts for many years for friends, family, and acquaintances. 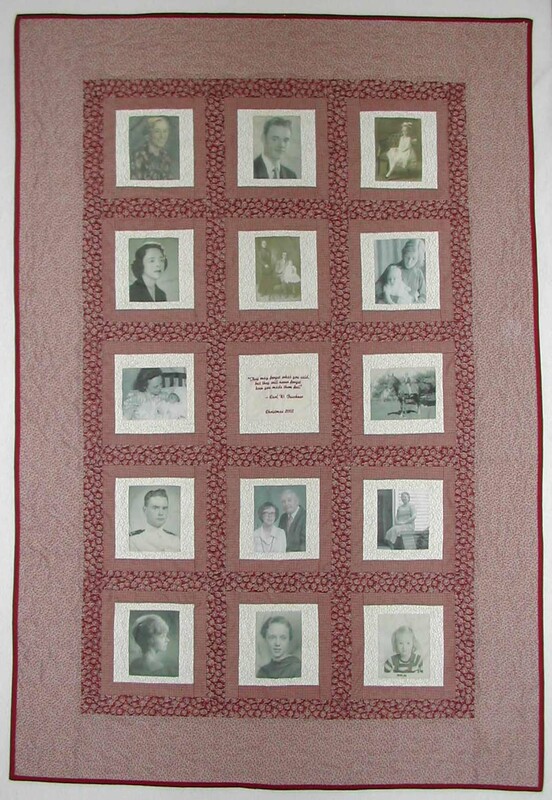 Pam started making custom quilts for clients as a business in September 2001. Pam uses both a Bernina 180 and 640 sewing machines with the capability of also doing embroidery. She also has software which allows images to be scanned in, then digitized to be sewn out on the sewing machine. Original Quilts also has quilting software where a concept of the quilt can be designed and sent to the client for approval processes before the quilt is even started. This insures satisfaction in the end - you see the quilt in software before it is created. 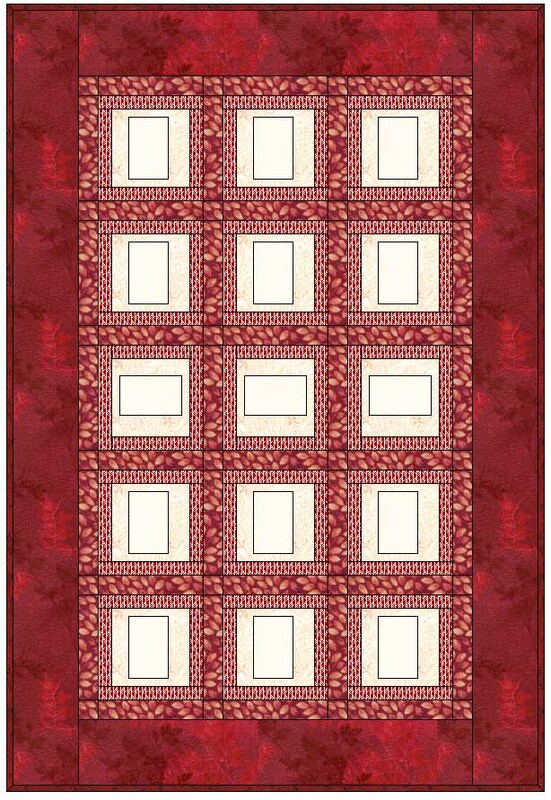 The first photo is the concept created in software, and the second photo is the actual completed quilt with the fabrics that the client selected.